MEGA IMPORTANT NOTE: IF you’re just happening across this Top 100 Hong Kong Films of the Eighties feature for the first time, we strongly suggest you head all the way back to this post to start the countdown from the very beginning. It’s more fun to read the entire thing from Number 100 down to Number 1, plus you get to see all the nifty movie posters. Please do it now. For justice. We’re here at the home stretch of the Top 100 Hong Kong Movies of the Eighties countdown, and someone is feeling pretty damn good. 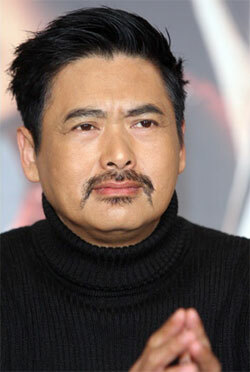 Chow Yun-Fat knows he’s got some pretty damn good films that haven’t shown up on this list yet. Surely he’ll be able to outpace competitors like Sammo Hung and Jackie Chan to win the dubious title of “Guy with most movies on the Top 100 Hong Kong Movies of the Eighties List.” One thing we do know is that Wong Jing won’t be winning. At least Wong Jing had the nineties, when a certain other actor named Chow would make his movies into timeless box office hits. So anyway, let’s get moving on Number 10-6 in this countdown. As usual, if you just got here, you might want to check out earlier entries in this Top 100 so that you don’t mistakenly think that NINJA IN THE DRAGON’S DEN has a chance of showing up at #3. Edison Chen being likable again is probably much more possible. Nah, that won’t be happening either. Hit the jump and let’s get to #10! So yeah, if this is your first installment in this list go back and look at the previous entries with Numbers 100-21. 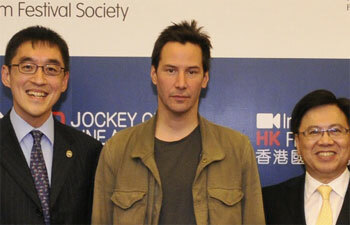 You’ll be happier, I’ll be happier and hopefully so will Keanu. Only 40 films left in our Top 100 Hong Kong Films of the Eighties countdown! Last time, Chow Yun-Fat wasn’t too pleased with his poor showing, with only four of his films appearing between numbers 100-61 of this list. 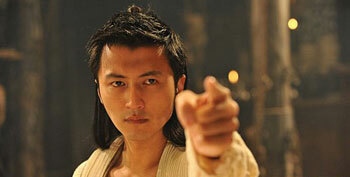 However, numbers 60-41 revealed four more Chow appearances, meaning he’s now leading the pack with 8 total films. 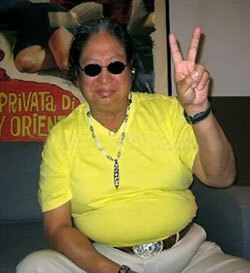 However, Sammo Hung is hot on Chow’s heels with six films - and even seven if you count his cameo in YES, MADAM! Considering that Sammo directs, produces and handles action on many of his own pictures, one could argue that he’s got an advantage on Chow “I only act” Yun-Fat. Other actors or directors getting lots of burn on this list are Jackie Chan, Eric Tsang, Yuen Biao, Yuen Woo-Ping and Patrick Tam with five films each. 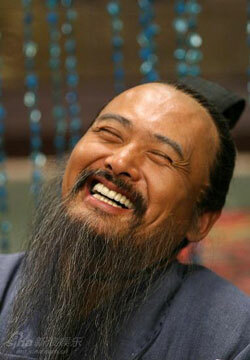 Wong Jing peaked at two (three if you count SEVENTH CURSE) so he’s not doing so hot. Jet Li? Three films and done. 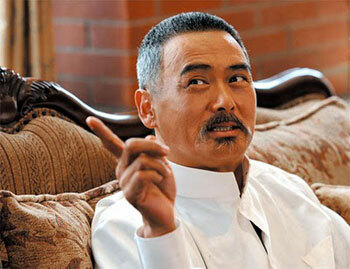 Tsui Hark has three films too, and he probably has a few more chances coming up. Oh, and if you’re just joining us, please go back to read the previous updates first so that you can put all this random stat counting into context. If you haven’t figured it out by now, this is a countdown of the Top 100 Hong Kong Films of the Eighties as determined by over 130 random and not-so-random individuals who either read LoveHKFilm.com or chanced by via a spam link. People voted, I tallied the votes and the world spun as usual on its axis. Let’s hit the jump for Round Four of Chow Yun-Fat versus Sammo Hung! “Not enough of my films have shown up yet. 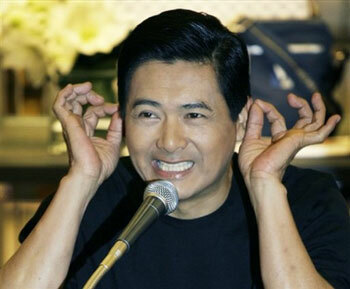 Chow Yun-Fat shouldn’t worry. He’s got a number of popular, quality features that will surely show up on this list. I mean, lots of people out there voted for FRACTURED FOLLIES, SCARED STIFF and A HEARTY RESPONSE, right? By the way, if you’re just joining us, you should definitely head back to Number 100 (or 101, actually) to start this countdown from the very beginning. It’s much more fun, plus you get to see where all Michelle Yeoh’s movies ranked. Yes, she could not break #60 in a Reader Vote of the Top Eighties Movies. SILVER HAWK will do that to your legacy. Wow, I never thought I’d get this TOP 100 HONG KONG MOVIES OF THE EIGHTIES list started. Some people have been waiting awhile. 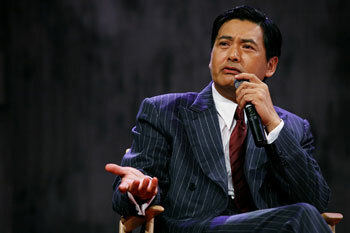 Chow Yun-Fat has a lot invested in this list, because it’s the eighties and he worked on a lot of Hong Kong films. That all ended in the nineties, when he left Hong Kong to make THE CORRUPTER and REPLACEMENT KILLERS. You know the rest of the story. For those just joining us, this is LoveHKFilm.com’s Top 100 Hong Kong Films of the Eighties, as voted upon by actual site readers. Each sent in a list of 10-20 favorites, after which we tallied the votes according to some needlessly complex numerical formula. The cold stats: 135 readers voted, 239 films were nominated and 226 films made the final list. The 13 film differential is due to nominated films that were disqualified, e.g. A CHINESE GHOST STORY 2, which came out in 1990 and does not count in the vote. From here on, we’ll be counting down all the films from Number 100 down to Number 1. This is the first installment of our countdown, meaning I’ll be updating this blog every 1-2 days to deliver the next 10-20 movies on the list. I figure we’ll get the whole thing done in about a week. If you’re impatient, you can always travel forward in time to see how it turns out. When you get back to the present, let us know. Afterwards I’ll print the full list so you can see just how popular or unpopular the films you selected are. 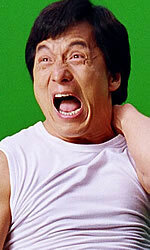 No matter what, I guarantee that Jackie Chan’s THE PROTECTOR didn’t make the list. A note: This list has 101 films because two films ended in a dead heat for #100. There are tie-breakers built into the scoring system, with first-place votes and number of total votes helping separate films that receive equal points. However, in the case of #100 and #101, both films have the same amount of points, the same amount of first-place votes (i.e., zero), and the same amount of total votes. Yep, math is hard.